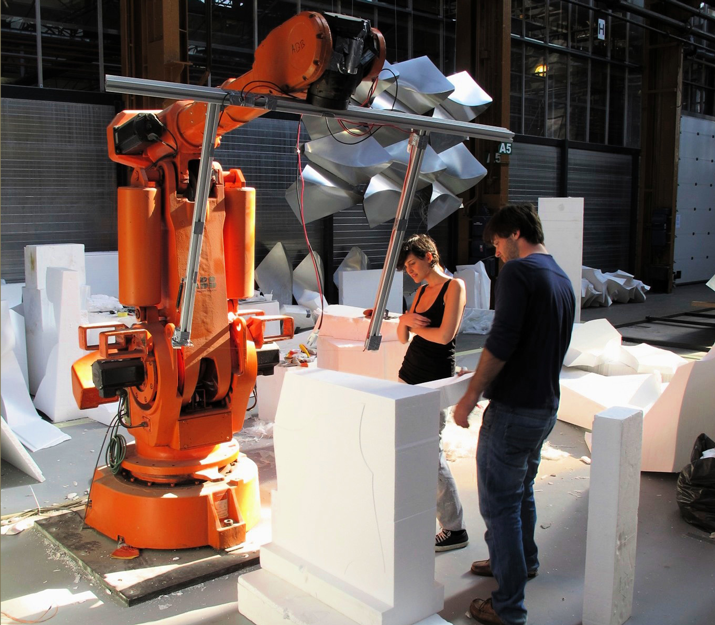 Continuing with the previous theme of collaboration, the conference seeks to bring together artists, designers, fabricators, and industry leaders for the purpose of advancing the discourse surrounding robotic fabrication. Following on the success of ROB|ARCH 2012, the conference will again present a series of workshops held at select research institutions on the east coast of the United States, aimed at exposing the advanced capabilities of applied robotic research. Following the workshops, the conference will span two days at the University of Michigan Campus in Ann Arbor, Michigan, about an hour outside of Detroit, the origin of robotics in North America. The internationally renowned publishing house Springer Wien/New York will publish and market the proceedings of the conference worldwide. We invite authors to submit papers with original research relating to the use of robots in architecture, art, and design. An international scientific committee consisting of researchers, designers, and architects will evaluate the papers and provide feedback to the authors. The selected papers will be published in the proceedings by Springer and presented at the conference in Ann Arbor, Michigan. Delft University of Technology / University of Michigan students use a robot for hot wire cutting.